The Dacia Sandero is regarded as being the cheapest new car you could buy in the UK right now, while it is also incredibly good value to insure. Of course, some people look down their noses at cheap cars. The Sandero was the target of a running joke on the Top Gear but the award it received from What Car? was no laughing matter. The motoring magazine called it the best supermini for under £12,000 and said that it brings “something genuinely new and different” to the UK car market. So maybe it is time to find out more about it. The Sandero is made jointly by Renault and Dacia, which is the manufacturer’s Romanian subsidiary. It has been getting produced since 2007, with a second generation model introduced at the 2012 Paris Motor Show. While it is known as the Dacia Sandero in the UK, it is called the Renault Sandero in some other parts of the world. Among the most important improvements to the second generation is the fact that it has a better level of driver and passenger security. The current versions include the base model, the Laureate, the Ambience and the Midnight. The low price is obviously what is going to attract a lot of buyers to the Sandero. At just under £6,000 at the time of writing there is no denying that it represents great value for money. For just a little bit more cash it is possible to upgrade to the more impressive Ambience, Midnight and Laureate models too. These trims are better equipped and offer better engine choices as well. It’s not just about the cost, though. When you buy this bargain vehicle you also get more interior space than you might expect. The large boot is especially impressive in such as compact car. As is common with practical city cars like this, the low running costs are also a big plus point. On the negative side, you shouldn’t expect any great luxuries inside the Dacia Sandero or any driving thrills once you get behind the wheel. It offers a solid and unspectacular way of getting around economically. Compact city cars like this traditionally appeal to a wide range of drivers. For a start, we have youngsters who have recently passed their driving test and want a cheap, reliable car to get around in. Alternatively, you might want a small vehicle that makes getting to work in the city easy and practical. The low running costs and easy parking make it ideal for urban commuting purposes. It might even be that you need an economic second car to get around in occasionally. As you would expect, it is also pretty cheap to insure the Sandero. The basic model is insurance group 2, which means that there are very few cars out there that are cheaper to get insured. When you move up to the higher trims you will find that it is still possible to get a good insurance deal, with group 2 being present in the Laureate and Ambience trims. However, there are also some models that fall into higher groups. For example, the Sandero 1.5 dCi Ambiance 5d is a group 8 car. The most expensive model to insure is the 1.5 dCi Midnight 5d, which is a group 12 rated car. 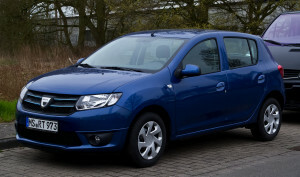 There are a number of very good reasons for choosing a Dacia Sandero, and not all of them have to do with the low cost. If you want a practical city car that is decent to look at and offers more space than you might expect then you won’t go far wrong. If you can afford it then upgrading to one of the higher end trims is well worth doing.